This year’s Admiral Swansea Bay 10k may only just have finished, but entries are already open for next year’s race. 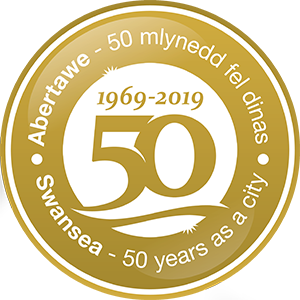 Swansea Council, who run the event, have now confirmed that the 2018 Admiral Swansea Bay 10k will be held on Sunday September 16. More than 4,500 people took part in this year’s Admiral Bay 10k last month. As well as the main 10k race, there were also 1k, 3k and 5k junior fun runs, along with a 10k wheelchair race and a 100-metre dash for mascots. Electronic time recording meant that competitors could find out quickly and easily whether their efforts were a personal best on a running-friendly course with some of the finest views anywhere in the country. Cllr Robert Francis-Davies, Swansea Council’s Cabinet Member for Culture, Tourism and Major Projects, said: “The prospect of a 10k may seem a little daunting to many people, but with entries already open for the 2018 event, it gives people plenty of time to get in shape over the next 12 months. “Whether you’re a novice runner, an experienced athlete or a fun runner, everyone who takes part in the Admiral Swansea Bay 10k speaks very positively about the experience – whether it’s because of the race’s great organisation, the scenic course, the money you raise for charity or the feeling when you cross the finish line. Head to www.swanseabay10k.com to enter next year’s 10k or to www.therunningawards.com to vote for the 10k in the 2018 Running Awards. Enter the 2018 race today!